10 inches. 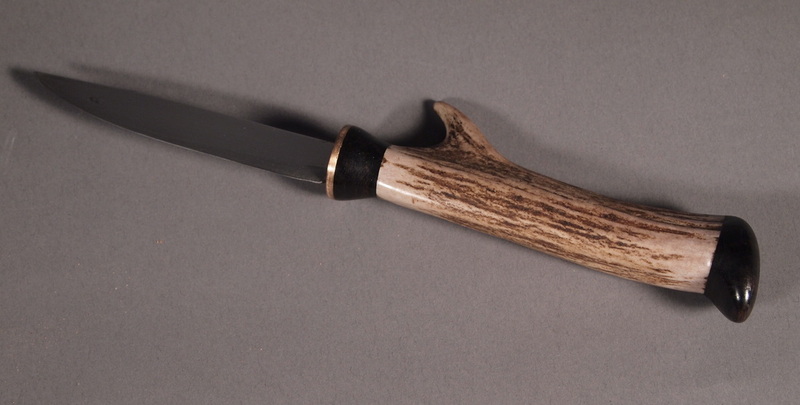 Hand forged high chrome steel blade with an ebony, antler and bronze handle. Available.